Veteran actress Sridevi's elder daughter Janhvi Kapoor recently made her debut in Bollywood with 'Dhadak' movie. The beautiful actress is lucky enough to grab a hit with her debut itself. Now, the actress got another big opportunity which will definitely give a big push to her career. 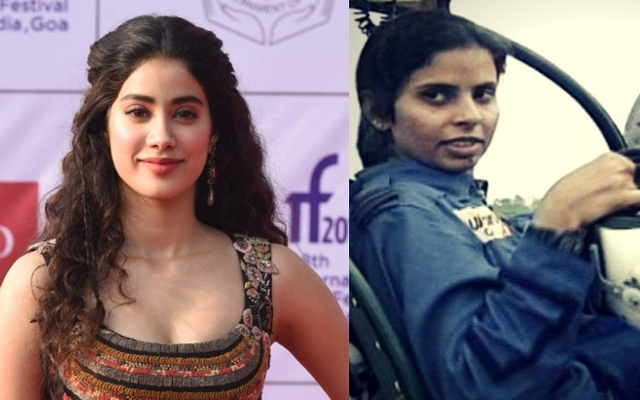 As per the latest reports, the actress is going to play the titular role in the biopic of first ever female combat aviator from India Gunjan Saxena. The brave and courageous work of Gunjan during the Kargil war in 1999 will get applauded forever. Doing a biopic on her is not an easy thing but the makers are confident that Janhvi can justify the role. This Kapoor daughter who has shown the glamour factor in her has to impress the audience with her performance. Janvi also has another biggie in her hand as she is going to be a part of Karan Johar's periodic magnum opus 'Takht' starring Ranveer Singh, Kareena Kapoor Khan, Alia Bhatt, Vicky Kaushal, Anil Kapoor etc.